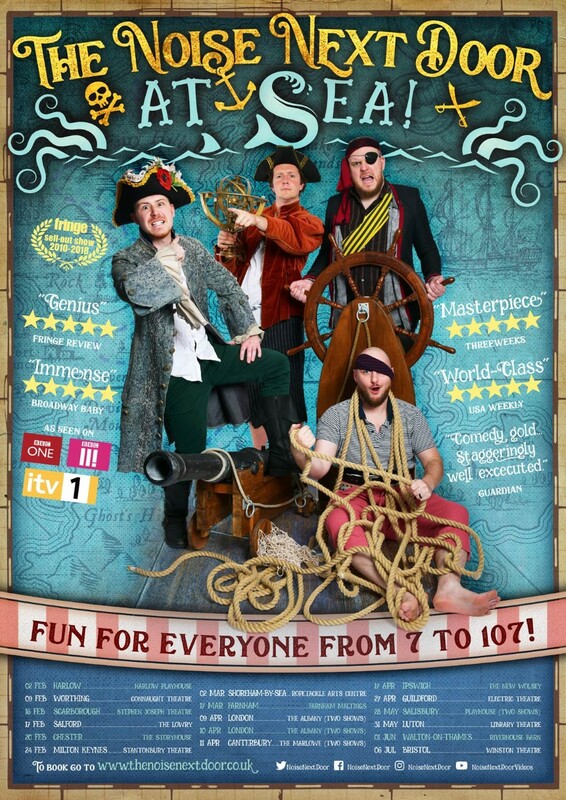 With mermaids, magic, sea-shanties and swords, this anarchic afternoon with the quickest wits in comedy is one you’ll treasureforever. HARLOW, WORTHING, SCARBOROUGH, SALFORD, CHESTER, MILTON KEYNES, SHOREHAM-BY-SEA, FARNHAM, LONDON (four shows! ), CANTERBURY (two shows), IPSWICH, GUILDFORD, SALISBURY (two shows), LUTON, WALTON-ON-THAMES, and BRISTOL!